All packaging supplies business established since 1975. Breamfold Packaging are a packaging business established since 1975. We have been offering quality packaging products to local and international customers. We have been in operation for over the last 4 decades and have developed and designed quality packaging materials ensuring our customers have the best quality at low costs. Customers are always welcomed to our open warehouse to collect their orders or if you are busy, we deliver to your address. No order is too small for us. Order it and we will deliver it. Over the last decade, we have built a huge experience in developing Breamfold packaging for a variety of items such as tiny packaging materials, cardboard boxes and blister packs. We have the required expertise to develop and design the wide range of packaging materials. We use different manufacturing materials to ensure our customers can have different packaging materials to choose from depending on their requirements. This way we are able to assist our customers with top quality packaging materials. Our products are re-enforced to ensure that they can handle different uses. 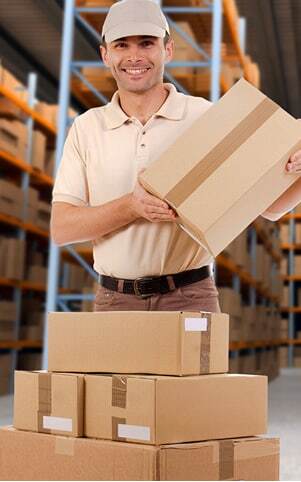 We have ensured our customers procure only the best while saving time and reducing costs. To assist our customers with packaging their products with speed they are developed to reduce the down time used when packaging as compared to using bubble wrap. We have endeavoured to ensure that our customers have only the best packaging materials for use. We have designed and developed only the best in terms of packaging materials, quality and all at an affordable cost. Want the latest trade price list? Send us a message or give us a call and we will email this across to you. Super friendly and reasonable prices. You can't beat Breamfold Packaging when it comes to service and price. Both Marc & Phil are knowledgble, friendly and always try to accomodate at short notice, even at weekends when possible. They sell all type of packaging such as boxes, bubble wrap, paper bags, carrier bags etc at in most cases cheaper than online prices. The best part is you can collect or have them delivered the same day. They sell both to the trade and public. Highly recommended and have used them for many years and hope to do so for many more to come. Good place for boxes and bubblewrap on the cheap. Don't bother online go to them they are far cheaper and have better quality products and best of all a big warehouse you can drive to and collect on the same day. Excellent range of packages. Great customer service with friendly and polite staff. Excellent company with exceptional customer service. They have a great selection of packaging. Will use again. I dealt with Breamfold Packaging to have some plastic shapes made for a training exercise. They were prompt with their response, understanding of the changes that kept happening with my clients and helpful in dealing with technical issues. They even made a couple of suggestions to keep the cost down! The final products were high quality and exactly what I was after which was very impressive since we never met face to face! They even put in a few spares which was great. Thank you for the excellent customer service. We have used Breamfold Packaging for about 2 years now never had any issues. The customer service staff are always friendly and always happy to help. We ordered bags, bubble wraps, plastic bags for our business which met our expectations. Highly Recommended!